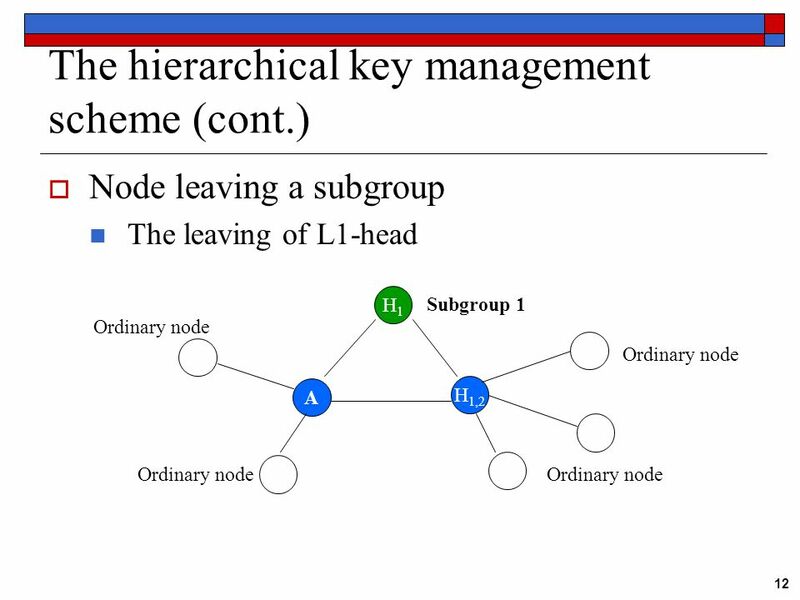 A hierarchical key management scheme for secure group communications in mobile ad hoc networks Authors: Nen-Chung Wang and Shian-Zhang Fang Sources: The. 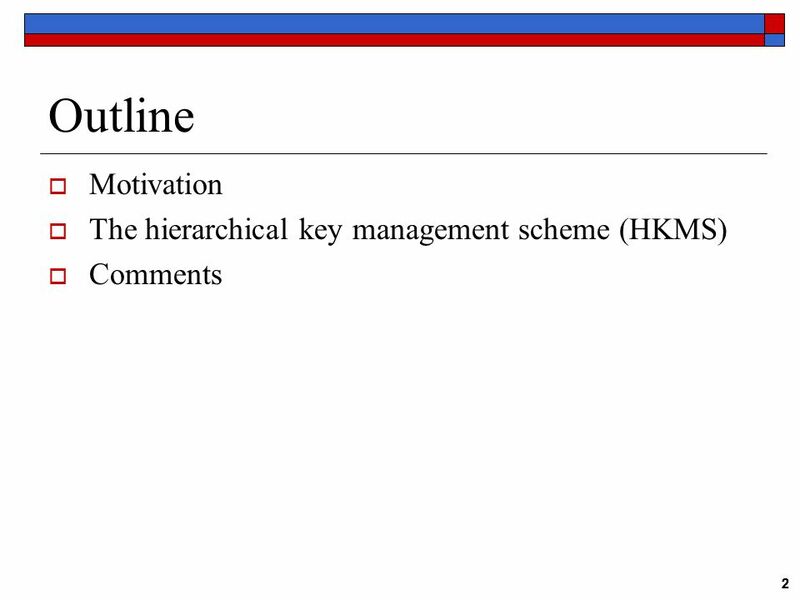 Download ppt "A hierarchical key management scheme for secure group communications in mobile ad hoc networks Authors: Nen-Chung Wang and Shian-Zhang Fang Sources: The." Efficient Kerberized Multicast Olga Kornievskaia University of Michigan Giovanni Di Crescenzo Telcordia Technologies. 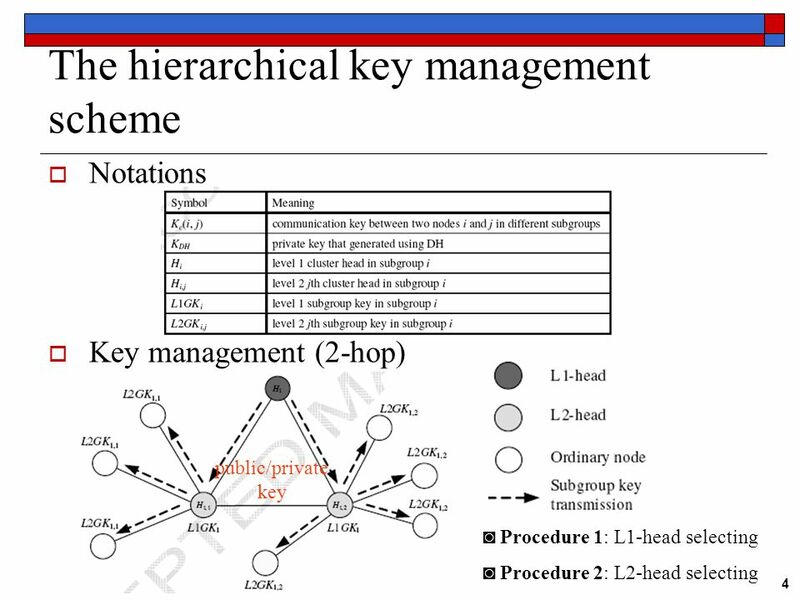 A key agreement protocol using mutual Authentication for Ad-Hoc Networks IEEE 2005 Authors : Chichun Lo, Chunchieh Huang, Yongxin Huang Date : 2005_11_29. 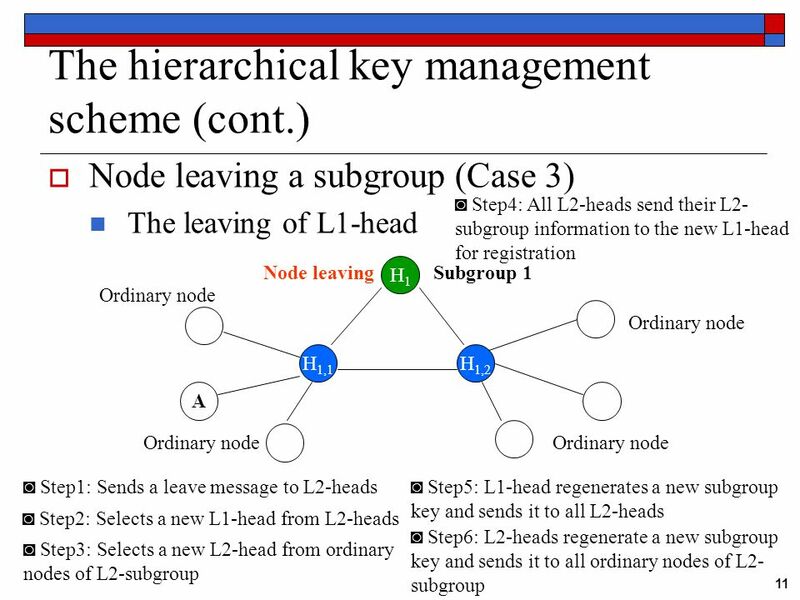 A Survey of Key Management for Secure Group Communications Celia Li. Computer Science Dr. Peng NingCSC 774 Adv. Net. 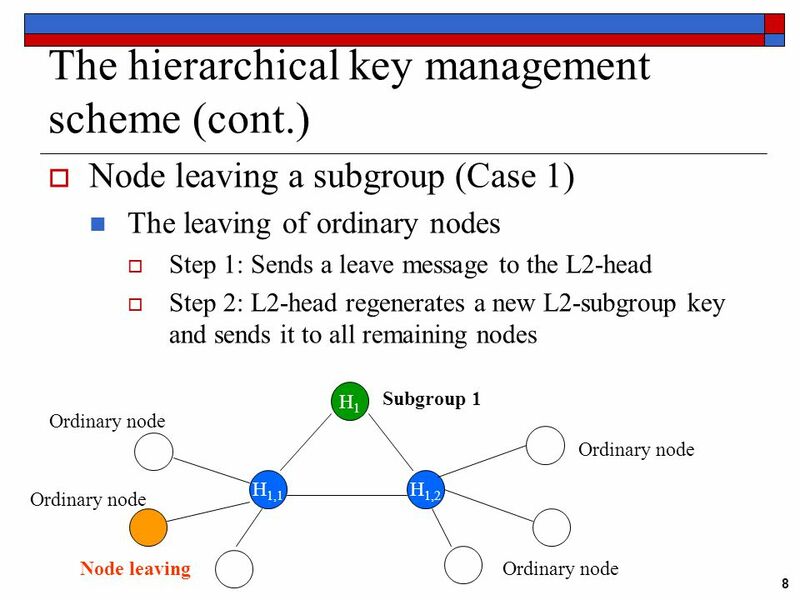 Security1 CSC 774 Advanced Network Security Topic 5.3 Group Key Distribution Acknowledgment: Slides on. 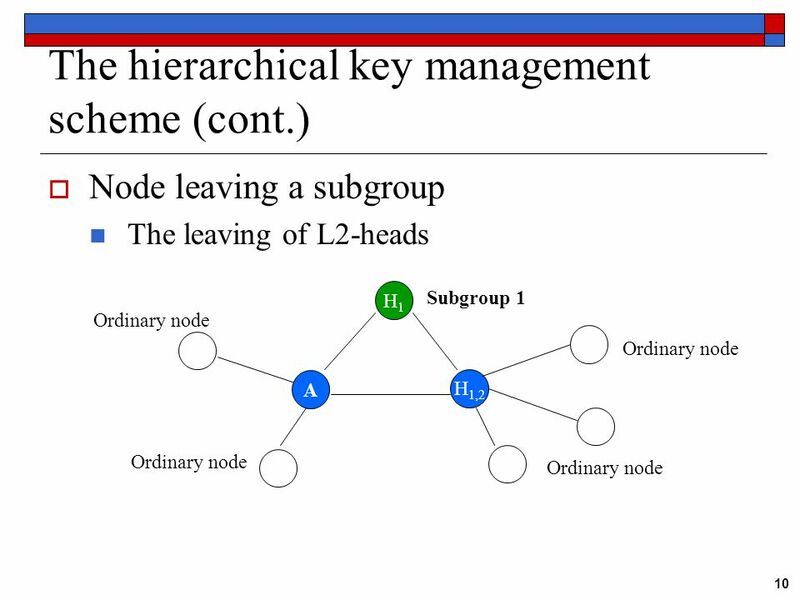 Kerberos Assisted Authentication in Mobile Ad-hoc Networks Authors: Asad Amir Pirzada and Chris McDonald Sources: Proceedings of the 27th Australasian. Group Protocols for Secure Wireless Ad hoc Networks Srikanth Nannapaneni Sreechandu Kamisetty Swethana pagadala Aparna kasturi. Weight based Multicast Routing Protocol for Ad hoc Wireless Networks 學生：陳信皇 教授：陳仁暉. 1 Performance Char’ of Region- Based Group Key Management --- in Mobile Ad Hoc Networks --- by Ing-Ray Chen, Jin-Hee Cho and Ding-Chau Wang Presented by. 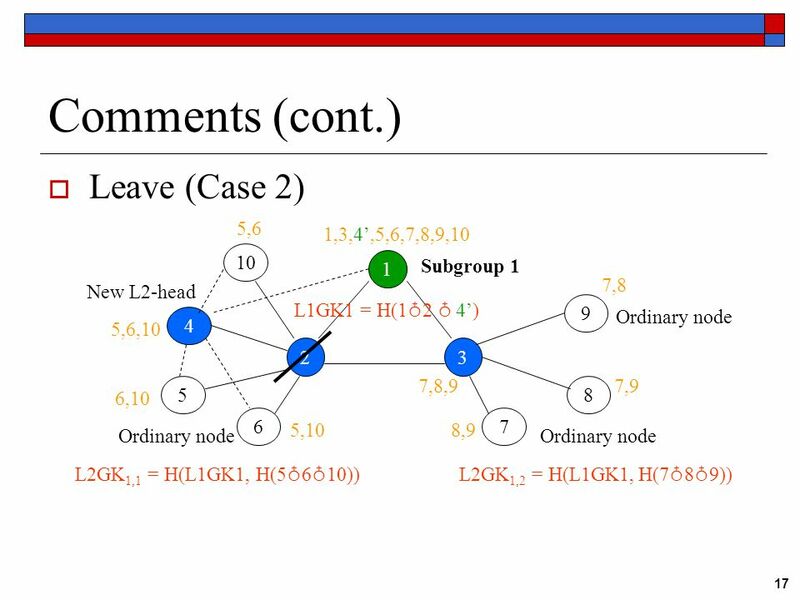 SEEKER: An Adaptive and Scalable Location Service for Mobile Ad Hoc Networks Jehn-Ruey Jiang and Wei-Jiun Ling Presented by Jehn-Ruey Jiang National Central. Presentation By: Garrett Lund Paper By: Sandro Rafaeli and David Hutchison. Yan (Lindsay) Sun and K. J. Ray Liu IEEE/ACM Transactions on Networking, Dec Presented by Seo Bon Keun, 2008. 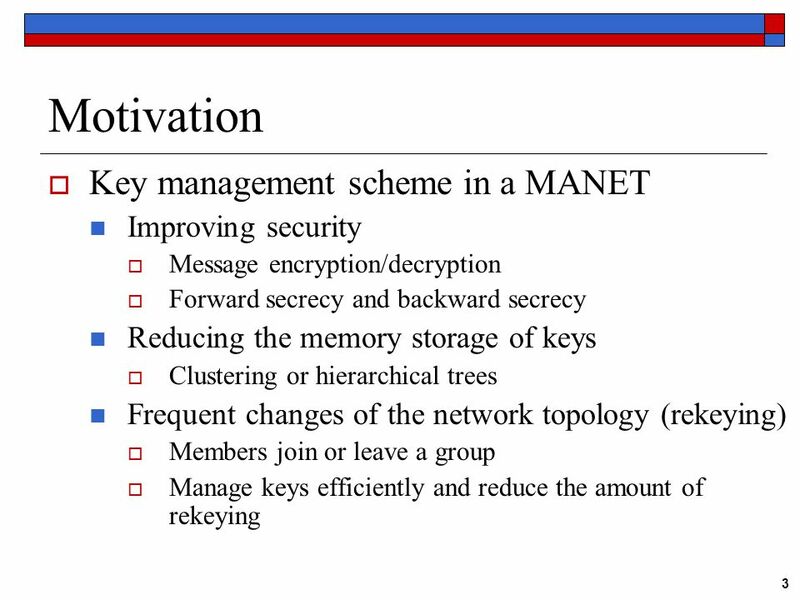 Fall, Privacy&Security - Virginia Tech – Computer Science Click to edit Master title style A Survey on Decentralized Group Key Management Schemes. Computer Science Dr. Peng NingCSC 774 Adv. Net. 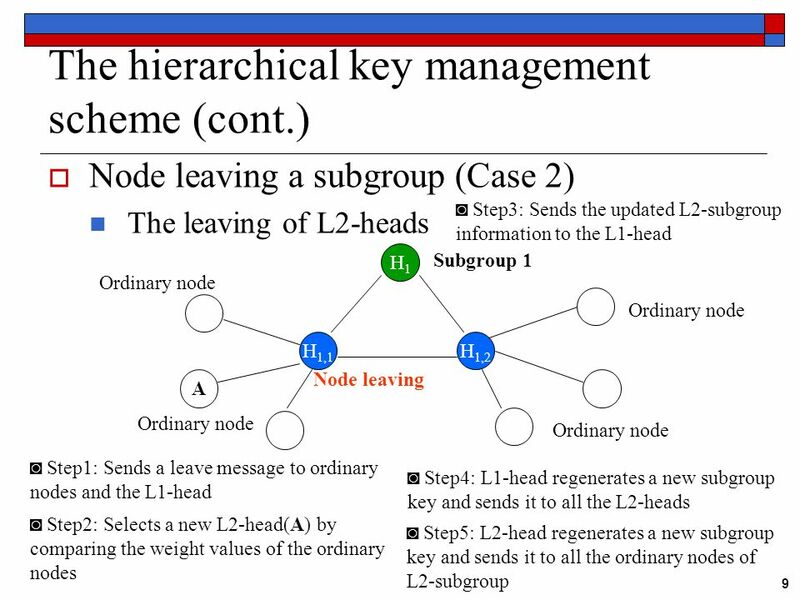 Security1 CSC 774 Advanced Network Security Topic 5 Group Key Management. 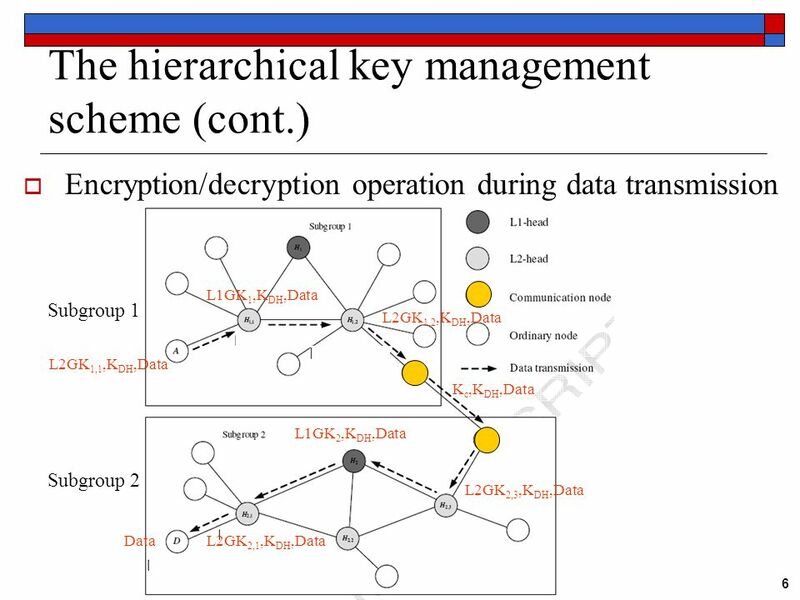 KAIS T Scalable Key Management for Secure Multicast Communication in the Mobile Environment Jiannong Cao, Lin Liao, Guojun Wang Pervasive and Mobile Computing. 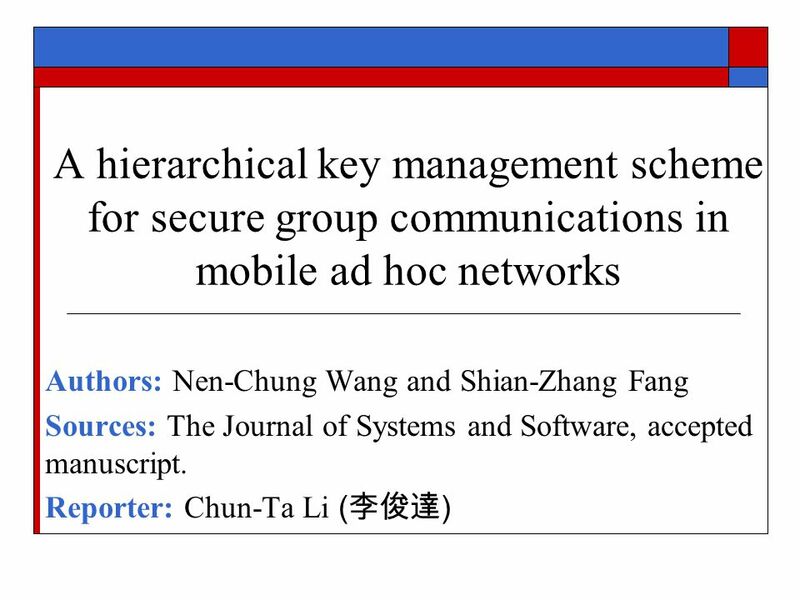 Network Access Control for Mobile Ad Hoc Network Pan Wang North Carolina State University. Secure Multicast (II) Xun Kang. 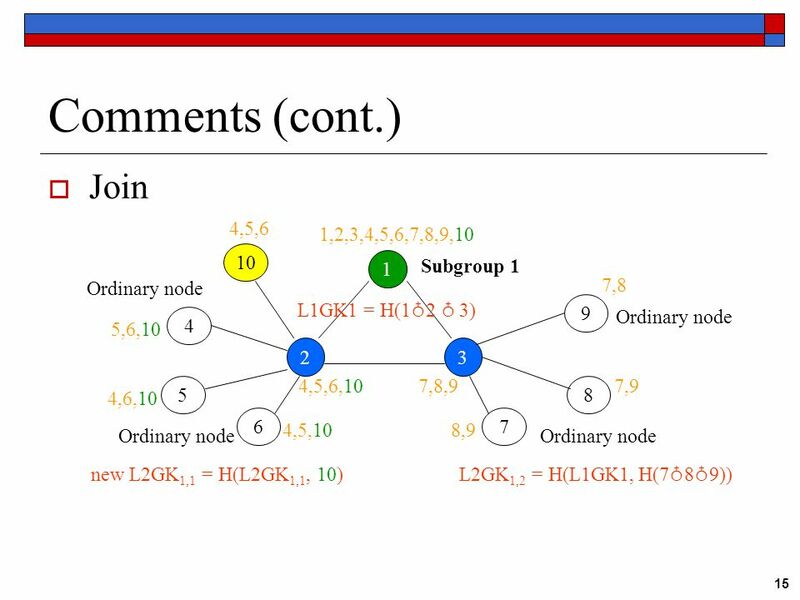 Content Batch Update of Key Trees Reliable Group Rekeying Tree-based Group Diffie-Hellman Recent progress in Wired and. 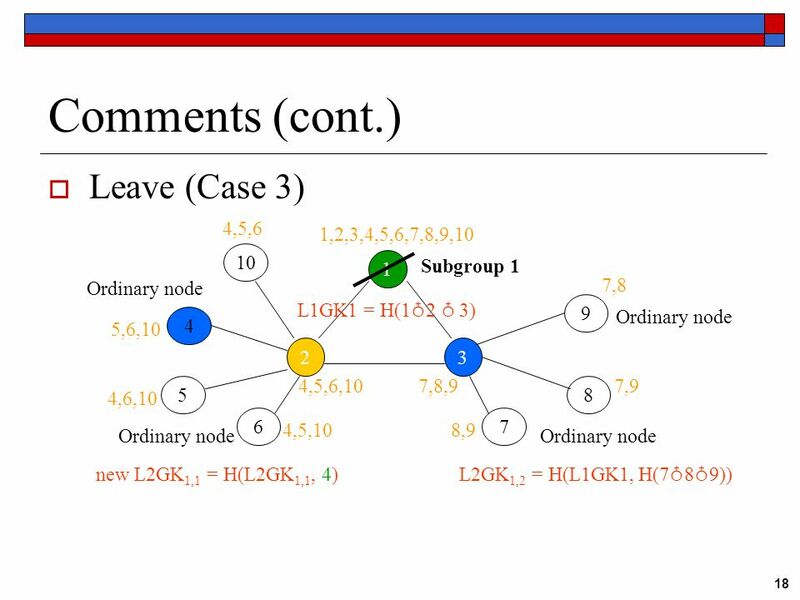 Effects of Applying Mobility Localization on Source Routing Algorithms for Mobile Ad Hoc Network Hridesh Rajan presented by Metin Tekkalmaz. Secure Multicast Xun Kang. Content Why need secure Multicast? 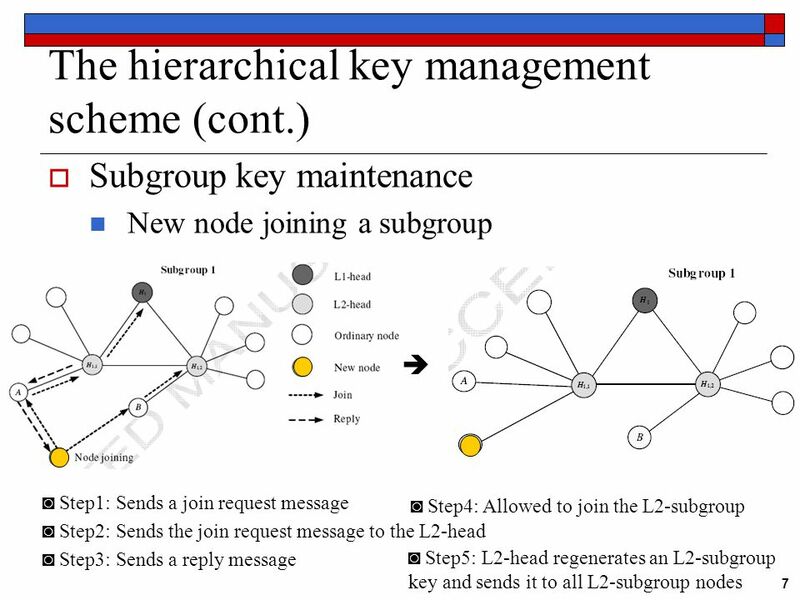 Secure Group Communications Using Key Graphs Batch Update of Key Trees Reliable Group Rekeying. 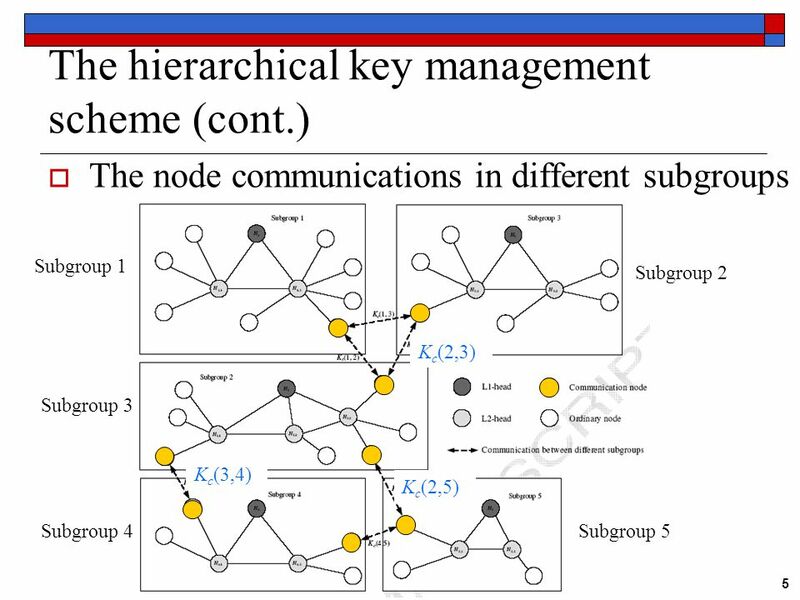 Distributed Collaborative Key Agreement Protocols for Dynamic Peer Groups Patrick P. C. Lee, John C. S. Lui and David K. Y. Yau IEEE ICNP 2002.